Lunch in New Orleans, LA – RV Cheaper! December 1, 2012 March 26, 2016 RV Cheaper! After touring Biloxi and Gulfport, MI, we headed onto New Orleans and took a hop-on, hop-off bus tour. We got off to watch the first day of Christmas parade. 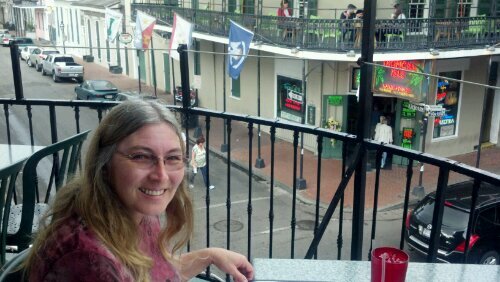 We found a great spot at Canal Street just south of Burbon Street so once the parade came by we walked over for lunch on the balcony at Johnny White’s Pub & Grill. On the way we followed one of the Burbon St wedding parades. I had the Cajun Sampler (red beans/rice, shrimp creole and crawfish etoufee). Alice played it safe with a sandwich. While we were eating, there was a funeral parade for a young lady who died in a car accident during the Thanksgiving holiday. They went to the Tropical Isle across the street, bringing food typical of an Irish wake. We managed to see a lot on such a short visit, we only missed the craziness that begins after the sun goes down! 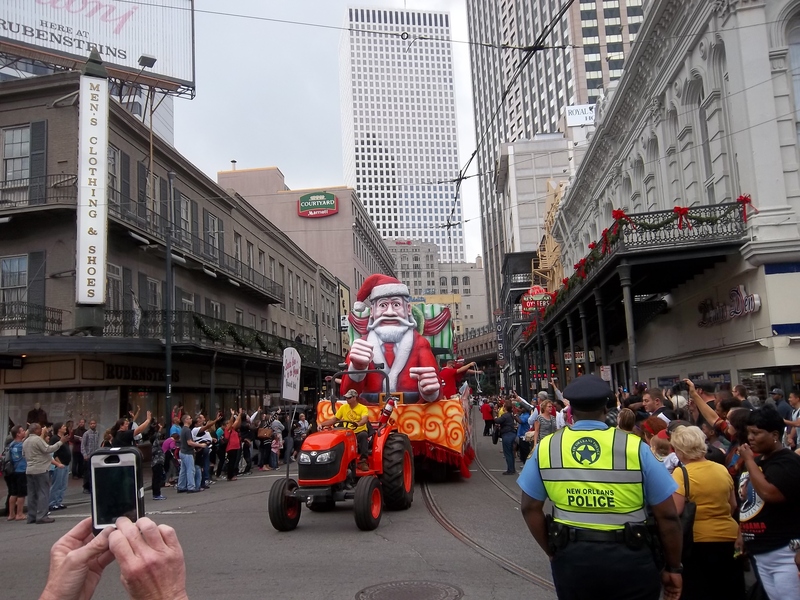 Surprise, a parade in New Orleans! We were just in time for the First Day of Christmas parade.